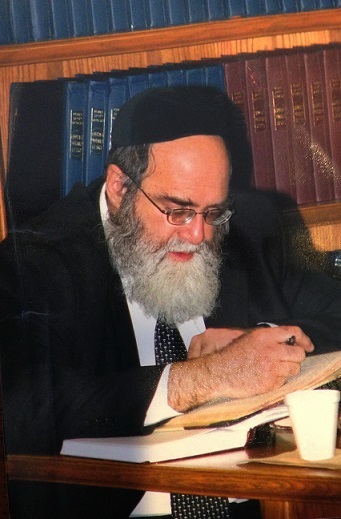 In his younger years, Rabbi Grossman studied in the Beis Medrash program of the Yeshiva of Philadelphia for 4 years under the tutelage of Rabbi Elya Svei and Rabbi Shmuel Kamenetsky. While en route to Israel, he learned one Elul zman in a branch of the Novardok yeshiva in France. In Eretz Yisroel, he joined the Yeshiva Mir in Jerusalem, where he became a student of its Rosh Yeshiva, Rabbi Chaim Shmuelevitz. In Yerushaliem, Rabbi Grossman developed a personal relationship with Rabbi Meir Soloveitchik, a son of Rabbi Yitzchak Zev Soloveitchik. It was in Israel where he met his wife, Rachel. Rachel Grossman is currently the principal of Valley Torah High School's girl division in Valley Village, California. After returning to America, Rabbi Grossman learned in the Lakewood Kollel. After 7 years there, he went on to become one of the founding members of the Lakewood Kollel branch in Los Angeles (1975). In 1981, he helped start Yeshiva Gedolah of Los Angeles where he served at the 12th grade Maggid shiur until 2008. Concurrently with position as lecturer at YGLA, he opened a Torah program for working young adults and college students, independent of the Yeshiva. Rabbi Grossman is known for his daf yomi shiurim and his recordings on every page of the Talmud are widely distributed by dafyomi.org.